The blockbuster release train is still rolling as May unfolds. 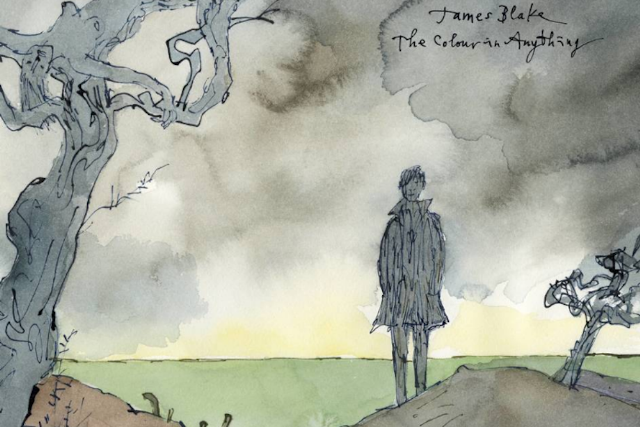 The eternally mournful singer James Blake has released The Colour in Anything, his third album (previously known as Radio Silence), after announcing its release on BBC Radio 1 earlier this afternoon. It’s the Brit’s first album since 2013’s Overgrown. Blake spent the time between Overgrown and The Colour in Anything doing some high-powered collaborations, working with the likes of Kanye West and Justin Vernon. West is absent from the album, but Vernon makes an appearance on “I Need a Forest Fire.” The Colour in Anything also features co-writing and production from Frank Ocean and Rick Rubin, respectively. At 17 tracks, The Colour in Anything is Blake’s longest album. But is it his best? Find out by streaming it on Spotify below or downloading it from iTunes.